Christmas Party in the office? We cater for cocktail or buffet parties too – whatever the size and whatever your fancy. Reward your staff and clients. We’ll have them raving about the catering. $195 a head* You find the venue, we’ll arrange the marquee. Silk-lined fully decorated marquee with dance floor, tables and chairs, plus your choice of either a three-course wedding banquet or a casual menu, plus beverages (five hours). 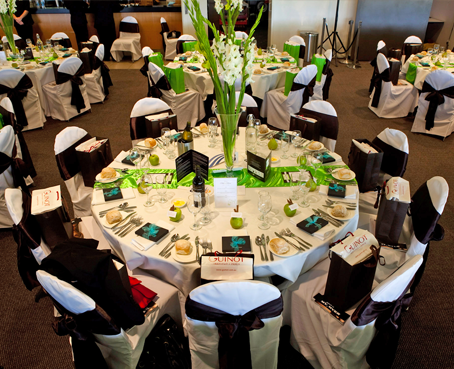 In conjunction with Akarba Party Hire, Mornington. * Some conditions apply, minimum 100 guests.